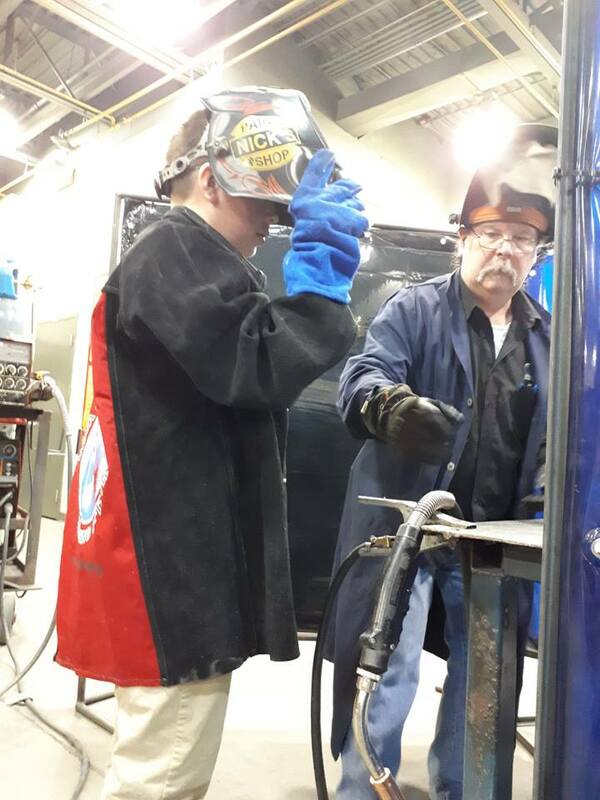 NFSB Continuing Education » Career exploration & Open House – welding style! In March, the NOVA Career Centre had the pleasure of hosting an Open House. The Welding Department was happy to be a part of the activities. Many students from surrounding elementary schools visited the Centre during the day. From 4:00 pm onward the general public were invited to take part in the activities the welding teachers had set-up. 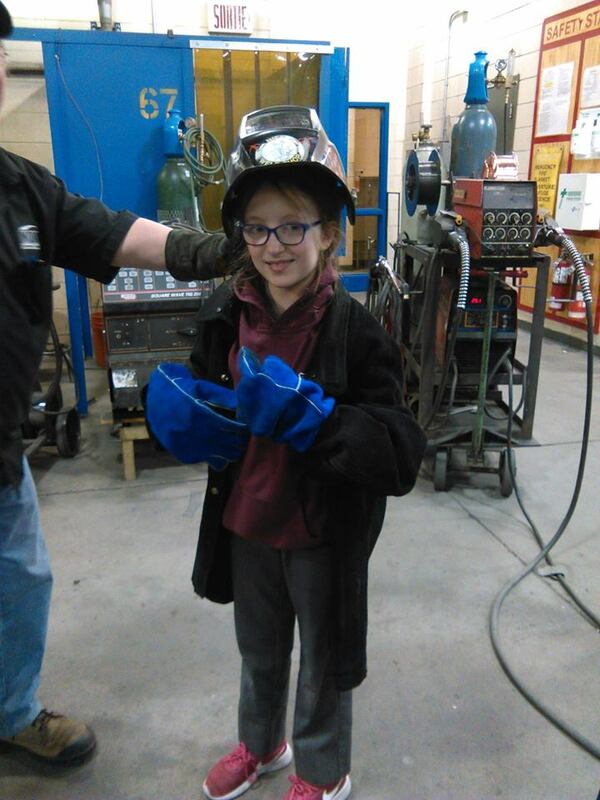 Both groups had the opportunity to do some hands-on welding under the tutelage of the teachers. The visitors from the afternoon tour had their name entered into a draw to win an outdoor fireplace. The lucky winner whose name was drawn that evening was a Mr. Christopher Sousa who is pictured standing happily next to his prize. The other photos are of some of the younger participants who made candle holders to keep and take home. A wonderful time was enjoyed by all.